“Glue” redirects here. For other uses, see Glue (disambiguation). In 2000, a paper revealed the discovery of a 5,200-year-old man nicknamed the “Tyrolean Iceman” or “Ötzi”, who was preserved in a glacier near the Austria-Italy border. 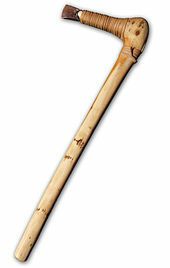 Several of his belongings were found with him including two arrows with flint arrowheads and a copper hatchet, each with evidence of organic glue used to connect the stone or metal parts to the wooden shafts. The glue was analyzed as pitch, which requires the heating of tar during its production. The retrieval of this tar requires a transformation of birch bark by means of heat, in a process known as pyrolysis. The first references to adhesives in literature first appeared in approximately 2000 BC. Further historical records of adhesive use are found from the period spanning 1500–1000 BC. Artifacts from this period include paintings depicting wood gluing operations and a casket made of wood and glue in King Tutankhamun’s tomb. Other ancient Egyptian artifacts employ animal glue for bonding or lamination. Such lamination of wood for bows and furniture is thought to have extended their life and was accomplished using casein (milk protein)-based glues. The ancient Egyptians also developed starch-based pastes for the bonding of papyrus to clothing and a plaster of Paris-like material made of calcined gypsum. In Central Asia, the rise of the Mongols in approximately AD 1000 can be partially attributed to the good range and power of the bows of Genghis Khan’s hordes. These bows were constructed with laminated lemonwood and bullhorn bonded by an unknown adhesive. Natural rubber-based sticky adhesives were first used on a backing by Henry Day (US Patent 3,965) in 1845. Later these kinds of adhesives were used in cloth backed surgical and electric tapes. By 1925, the pressure-sensitive tape industry was born. Today, sticky notes, Scotch tape, and other tapes are examples of PSA (pressure-sensitive adhesives). There are two types of adhesives that harden by drying: solvent-based adhesives and polymer dispersion adhesives, also known as emulsion adhesives. 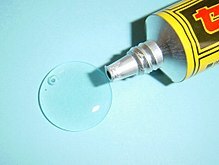 Solvent-based adhesives are a mixture of ingredients (typically polymers) dissolved in a solvent. White glue, contact adhesives and rubber cements are members of the drying adhesive family. As the solvent evaporates, the adhesive hardens. Depending on the chemical composition of the adhesive, they will adhere to different materials to greater or lesser degrees. 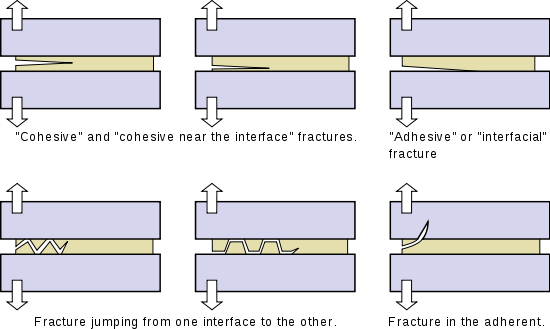 Pressure-sensitive adhesives (PSA) form a bond by the application of light pressure to marry the adhesive with the adherend. They are designed to have a balance between flow and resistance to flow. The bond forms because the adhesive is soft enough to flow (i.e., “wet”) to the adherend. The bond has strength because the adhesive is hard enough to resist flow when stress is applied to the bond. Once the adhesive and the adherend are in close proximity, molecular interactions, such as van der Waals forces, become involved in the bond, contributing significantly to its ultimate strength. 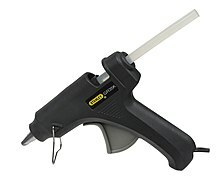 Pressure-sensitive adhesives are manufactured with either a liquid carrier or in 100% solid form. Articles are made from liquid PSAs by coating the adhesive and drying off the solvent or water carrier. They may be further heated to initiate a cross-linking reaction and increase molecular weight. 100% solid PSAs may be low viscosity polymers that are coated and then reacted with radiation to increase molecular weight and form the adhesive, or they may be high viscosity materials that are heated to reduce viscosity enough to allow coating, and then cooled to their final form. Major raw material for PSA’s are acrylate-based polymers. Multi-component adhesives harden by mixing two or more components which chemically react. This reaction causes polymers to cross-link into acrylics, urethanes, and epoxies – See thermosetting polymers. ^ Pike, Roscoe. “adhesive”. Encyclopædia Britannica Online. Encyclopædia Britannica Inc. Retrieved 9 April 2013. ^ a b Mazza, P; Martini, F; Sala, B; Magi, M; Colombini, M; Giachi, G; Landucci, F; Lemorini, C; Modugno, F; Ribechini, E (January 2006). “A new Palaeolithic discovery: tar-hafted stone tools in a European Mid-Pleistocene bone-bearing bed”. Journal of Archaeological Science. 33 (9): 1310. doi:10.1016/j.jas.2006.01.006. ^ Kozowyk, P. R. B.; Soressi, M.; Pomstra, D.; Langejans, G. H. J. (2017-08-31). “Experimental methods for the Palaeolithic dry distillation of birch bark: implications for the origin and development of Neandertal adhesive technology”. Scientific Reports. 7 (1). Bibcode:2017NatSR…7.8033K. doi:10.1038/s41598-017-08106-7. ISSN 2045-2322. ^ Wadley, L; Hodgskiss, T; Grant, M (Jun 2009). “Implications for complex cognition from the hafting of tools with compound adhesives in the Middle Stone Age, South Africa”. Proceedings of the National Academy of Sciences of the United States of America. 106 (24): 9590–4. Bibcode:2009PNAS..106.9590W. doi:10.1073/pnas.0900957106. ISSN 0027-8424. PMC 2700998. PMID 19433786. ^ Wadley, Lyn (1 June 2010). “Compound‐Adhesive Manufacture as a Behavioral Proxy for Complex Cognition in the Middle Stone Age”. Current Anthropology. 51 (s1): S111–S119. doi:10.1086/649836. ^ Ebnesajjad, Sina (2010). “History of Adhesives”. Handbook of Adhesives and Surface Preparation : Technology, Applications and Manufacturing. Amsterdam: Elsevier. p. 137. ISBN 9781437744613. ^ Mittal, K.L. ; A. Pizzi (2003). “Historical Development of Adhesives and Adhesive Bonding”. Handbook of Adhesive Technology (2nd ed., rev. and expanded. ed.). New York: Marcel Dekker, Inc. p. 1. ISBN 0824709861. ^ “History of Adhesives” (PDF). Bearing Briefs. Bearing Specialists Association. 2006. ^ Ross, John; Charles Ross (10 October 1876). 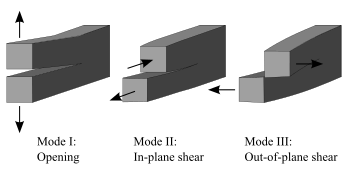 “Improvement in Processes of Preparing Glue”. United States Patent and Trademark Office. Retrieved 14 April 2013. ^ “Bonding- An Ancient Art”. Adhesives.org. Adhesives and Sealants Council. Retrieved 14 April 2013. ^ Barcode, Barry. “Rubber Acrylic Adhesive Labels”. Midcomdata. Retrieved 6 August 2014. ^ “About anaerobic adhesives”. ThreeBond Holdings Co. Retrieved September 15, 2018. ^ “Repackaging Options for Two-Component Adhesives, Sealants and Coatings”. Adhesives and Sealants Industry. January 5, 2015. Retrieved October 27, 2017. ^ “History of Pre-Mixed and Frozen (PMF) Adhesives”. Appli-tec. Retrieved October 27, 2017. ^ Gordon, J. E. (1991). The New Science of Strong materials (or why you don’t fall through the floor) (2nd rev. ed.). Penguin Books. p. 155. ISBN 0140135979. Ebnesajjad, Sina (2010). “History of Adhesives”. Handbook of Adhesives and Surface Preparation:Technology, Applications and Manufacturing. Amsterdam: Elsevier. ISBN 9781437744613.